We now have two courses a month for the FREC 3 qualification. The qualification is on the Regulated Qualification Framework and overseen by the Awarding Body, Qualsafe. 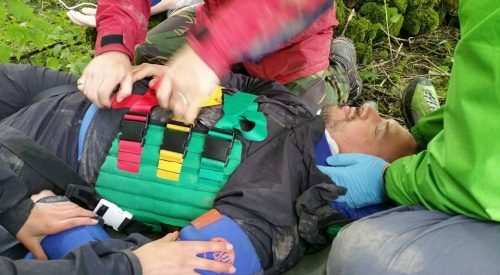 There is the option to pay by instalments for the FREC 3 qualification and we have a First Response Emergency Care Level 4 course in September. FREC 3 is £594 inc VAT and FREC 4 is £630, however, for both courses booked, there is the option to pay by instalments and receive a discount. If you are interested in the FREC 3 please see dates on the FREC 3 page. If you would like to discuss both the FREC 3 and FREC 4, please contact nicola@highpeakfirstaid.co.uk or call 01433 621484/07931 360328. This entry was posted in first aid courses, News, Prehospital Care. Bookmark the permalink.